Are you a double glazing installer? Do you regularly work in conservation areas and on traditional properties? Do your customers often ask you for the best uPVC replacements for their existing timber sash windows? If so, you need the best sash window manufacturer. 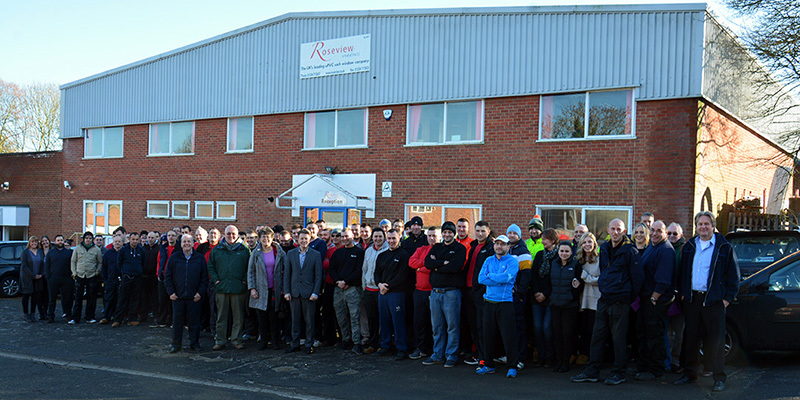 At Roseview Windows, we’ve just celebrated 40 years of industry success. Over this time, we have developed the most authentic uPVC sash windows on the market. When you want to offer your customers the best uPVC sash windows, choose Roseview. At Roseview Windows, we believe that ‘knowledge is power’. Our product knowledge has enabled us to create a window which is powerful, both in terms of performance and authenticity. Our uPVC sash windows feature a wealth of period detailing, from run-through sash horns to Georgian bars. Alongside their intricate attention to detail they also provide the levels of energy efficiency and security a modern window demands. As a trader, you’re at the forefront of the double glazing market. You deal directly with the end-user and can build up knowledge of what’s popular. As a trade manufacturer, we see the bigger picture. Our years of industry experience has enabled us to see trends in the window industry, both social and geographical. We can confidently advise our trade customers on which windows will be best suited to specific areas and customer bases. At Roseview Windows, we know how important it is for traders to find a reliable sash window manufacturer. From our modern manufacturing facility, we offer our trade customers all they could want from a manufacturer and supplier. We provide a 24 hour quote turnaround to help you meet customer expectations. To ensure that all schedules are adhered to, we provide a simple delivery service, with planned deliveries to your unit or site, whichever best suits your requirements. We also offer a full after sales service, with parts, extras, marketing advice and access to our stylish showroom. We aim to make our ordering process as simple as possible, so that all our customers can make a success out of their business. At Roseview Windows, we offer our trade customers three uPVC sliding sash windows which make up the Rose Collection. Whatever your project size, budget, and specifications, we’re sure to have the perfect sash window to meet every customer’s expectations. There are many sash window manufacturers in the UK but only one Roseview Windows. By focussing on one product we have become the industry’s best specialist sash window manufacturer in the UK today. For more information about Roseview Windows call 01234 712 657 or contact us online.